The Hong Kong Special Administrative Region (Hong Kong) is an important centre for international finance and trade, and is perennially ranked as one of the freest economies in the world. With its high standard of living, cosmopolitan population and low barrier of entry for businesses, the city has also become internationally famous as a shopping destination and food centre. Many international brands have an established presence in the city, and those without a presence see Hong Kong as an important link to the ever-growing mainland Chinese market. Hong Kong does not have any laws or regulations specific to franchising. Local and foreign companies alike are free to establish and operate franchises as they see fit, subject to general consumer protection legislation. The Hong Kong General Chamber of Commerce has established the Hong Kong Franchise Association (HKFA) committee to monitor and promote the development of franchising in the territory. Membership of the HKFA and adherence to its guidelines are on a voluntary basis. There are no franchise-specific restrictions on foreign franchisors who wish to enter the Hong Kong market. Foreign entities are free to grant their local partners master franchise or development rights. Foreign entities are also free to own real property or equity in a local business. The Hong Kong dollar is the currency of Hong Kong. The Hong Kong dollar is pegged to the US dollar at around HK$7.8 to US$1. The Hong Kong dollar is fully convertible into other currencies around the world. There are no capital restrictions on capital flows into and out of Hong Kong, neither are there foreign exchange restrictions in Hong Kong. Hong Kong has a straightforward tax regime. Companies simply need to pay profits tax on income sourced in Hong Kong. There is no tax on dividends, capital gains, goods and services. However, ‘withholding tax’ is levied on income (royalty payment) derived from the use of intellectual property rights in Hong Kong. The current effective rate is at 4.95 per cent. The Hong Kong government’s Intellectual Property Department (IPD) maintains an online central database of trademarks, patents and registered designs.2 Anyone can access the database for free via the internet and search for intellectual property currently registered with the IPD. Alternatively, the IPD provides a service where they can perform the search for a small fee. Trademarks are protected first by registering with the IPD. Registration requires the completion of an application form that can be downloaded from the IPD website.3 The application must then be submitted to the IPD in person or by post, together with the application fee (HK$2,000 for one class as of November 2016). The IPD will then review the application to ensure that all the required information has been provided. A search will then be conducted to ensure there are no conflicts. If conflicts are cleared, the IPD will publish a public notice that the application has been filed. There is a three-month period from the date of publication of the notice during which an objection to the application can be filed. If there have not been any objections, the IPD will issue a certificate of registration at the end of the period. The official date of registration of the trademark will be the filing date of the application. Enforcement of intellectual property rights is performed through the Hong Kong Courts. The process of filing a claim against a trademark infringer follows the same process as that of a normal civil claim (see Section VI). Failure to comply with a court order will be considered contempt of court, punishable by a fine or imprisonment. More importantly, in Hong Kong, enforcement of provisions under the Copyright Ordinance, the Trade Description Ordinance and the Trademark Ordinance that give rise to a criminal offence are undertaken by the Customs and Excise Department, which has been given broad powers, including seizing and removing articles that may be infringing copies of a copyright work and entering and searching premises to carry out its duties, upon obtaining of a warrant from a magistrate. Hong Kong does not have any specific legislation regulating ‘social media’ or ‘e-commerce’. Activities will be regulated under general law. In relation to personal data and data protection, the primary legislation is the Personal Data (Privacy) Ordinance (PDPO).4 The PDPO governs the use of personal data, which is defined as any data that relates to a living individual from which it is practicable for the identity of the individual to be ascertained. Collection of personal data is only allowed if the individual is first informed of the purpose for which the data is to be used; and the classes of persons to whom the data may be transferred. Personal data may not be used for a new purpose without the prescribed consent of the individual. Any collection and use of personal data for direct marketing purposes requires the express consent of the individuals concerned. Franchises must ensure that all personal data that has been collected are accurate and are protected against unauthorised or accidental access, processing, erasure, loss or use. Franchises must also ensure that the personal data collected are accessible to the individual they relate to upon the individual’s request for access or correction. Personal data collected may not be retained for longer than is necessary for the fulfilment of the purpose for which they were obtained. f the Unconscionable Contracts Ordinance12 empowers the court to give relief to consumers in respect of contracts relating to the sale of goods or supply of services found to be unconscionable. Statutory and common law in relation to intellectual property will also be relevant with regard to activities relating to franchises. There are no specific pre-contractual disclosure requirements. The HKFA has published a Code of Ethics,13 which states that a franchisor should provide to the prospective franchisee full and accurate written disclosure of all information material to the franchise relationship within a reasonable time prior to execution of the agreement. A franchisee should provide full and frank disclosure of all information material to facilitate the franchisor’s selection of a franchisee. Under Hong Kong law, however, a misrepresentation is a ground for rescission of a contract or the award of damages. This is where one party – the representor – makes a false representation to another – the representee – to induce the representee to enter into a contract. Under Hong Kong common law, if the representation was made fraudulently or negligently, the representee may also claim for damages suffered as a result of entering into the contract. Under the Misrepresentation Ordinance,14 the representee may also claim for damages despite the absence of fraud. In a franchise context, the key elements required for a franchisor or a franchisee to bring such a claim against the other party are: (1) the misrepresentation was an untrue statement of fact or law; (2) the statement induced it to enter the contract; and (3) it has suffered a loss as a result of the entering into of the contract. There are no franchise registration requirements. There are no mandatory clauses specific to franchise agreements. There is no legislation or mandatory legal requirement under Hong Kong law relating to guarantees and protection. It is for the parties to agree whether guarantees from the principle owner or parent company are required. Owners of property are charged property tax, which is computed at the standard rate on the net assessable value of the property. The current standard rate is 15 per cent.17 Depending on the terms of the retail property’s lease, a franchisee may be required to pay to the owner all or a portion of the property tax. Hong Kong has a relatively simple system of taxation. The guiding principle is that all profits derived from Hong Kong will be subject to profits tax. 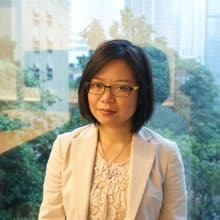 Recent decisions of the English courts on good faith relating to good faith cooperation and implied terms of good faith when making a genuine decision and relating to honesty18 are likely to be applied and followed by Hong Kong courts. Although court decisions of England and Wales no longer form part of the law of Hong Kong, the case of Yam Seng Pte Ltd v. International Trade Corp Ltd 19 has already been applied by Hong Kong courts in a recent decision (albeit the case has been cited with regard to an issue unrelated to good faith).20 It is therefore important to consider the implications of these cases in assessing the obligations of the franchisor and the franchisee under Hong Kong law. In addition, the HKFA has published a Code of Ethics (the Code) that generally states the parties should act in good faith.21 The Code is a guideline for HKFA members to follow and is not binding. The Code specifically points out that disputes should be resolved with good faith and goodwill. To the extent reasonably possible and with good faith, the franchisor shall give notice to the franchisee of any contractual breach and grant reasonable time to remedy the default. Franchisors and franchisees may contractually agree to an agency or distributor business model. In an agency model, the franchisee will sell the franchisor’s products on behalf of the franchisor as agent to customers. Legally, the products are never owned by the franchisee. In a distributor model, the franchisee will purchase the franchisor’s products in its own right and will then sell the products to customers. It is unlikely that a franchisee would be considered an employee of a franchisor. To be considered an employee, one must enter into a contract of employment whereby one person agrees to employ another and that other agrees to serve his employer as an employee. If a franchisee is considered an employee of the franchisor, the franchisee would be entitled to the minimum statutory protection and benefits conferred under the Employment Ordinance22 (e.g., statutory rest days, mandatory provident fund payments and employees’ compensation insurance). It is unlikely that franchisees would be considered ‘consumers’ or ‘dealing as a consumer’ under Hong Kong law. They would therefore be considered ‘businesses’ and would be required to comply with the consumer protection legislation discussed in Section VI.i, in their dealings with consumers. f the Guideline on Applications for a Decision under Sections 9 and 24 (Exclusions and Exemptions) and Section 15 Block Exemption Orders. The Guideline on the First Conduct Rule, for example, provides that retail price maintenance (i.e., where a franchisor establishes a fixed or minimum resale price for the franchisee to follow) might be considered, by its nature, to be anticompetitive. Nevertheless, the guidelines further provide that retail price maintenance might be exempted if the arrangement can be proved to entail pro-competitive benefits. For example, retail price maintenance may assist a franchise arrangement to organise a coordinated price campaign of limited duration. In addition to the six guidelines mentioned above, the Competition Commission also issued in November 2015 two policies specifically on enforcement entitled ‘Enforcement Policy’ and ‘Leniency Policy for Undertakings Engaged in Cartel Conduct’ in anticipation of the coming into force of the Competition Ordinance. Generally restrictive covenants are unenforceable in Hong Kong on public policy ground. The courts may find exception to the rule provided the franchisor can demonstrate that it has a legitimate interest to protect (e.g., system of the business, confidential information vital to the business) and that the scope of the restriction is no more than is reasonably necessary for the protection of that interest.26 To ensure the enforceability of restrictive covenants, the restriction should be limited in scope, time period and geographical area. A breach of a restrictive covenant contained in the franchise agreement may be enforced by applying to the court for an interim injunction. 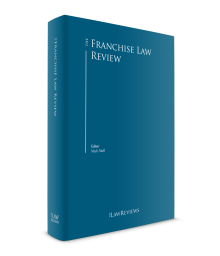 To obtain an interim injunction, the franchisor will need to satisfy the court that there is a serious issue to be examined and that if the franchisee’s activities are not immediately stopped, the damage to the franchisor’s business could be so great that there could be no adequate financial compensation. In urgent cases, the franchisor may make the application to court without notice to the franchisee. Termination of a franchise agreement is a contractual matter and should follow the termination clause of the agreement. As a matter of common law, the parties have a right to terminate the agreement in the event of a repudiatory breach and where it is clear that the party in breach does not intend to honour the agreement. Depending on the contractual terms, a franchisor may take over the franchisee’s business. There are no restrictions on foreign ownership of local business or leasing property. A franchisor or franchisee’s liability for fraud will mainly be in the context of fraudulent misrepresentation, as discussed in Section II.iv. c the United Nations (Anti-Terrorism Measures) Ordinance,30 which provides that it is a criminal offence to provide or collect property, by any means, directly or indirectly, with the intention that the property will be used, or knowing that the property will be used, in whole or in part, for the purposes of terrorism. i a party can notify the court and other party of its intention to appeal the decision within the time limit. It is possible to obtain an interim or permanent injunction to prevent the continued breach of a non-compete provision or unauthorised use of trademark (see the discussion on restrictive covenants above). The court will seek to place the plaintiff into the position that it would have been in had the contract been fully performed. Damages for breach of contract are calculated based on actual loss arising from the breach. The court will generally order the unsuccessful litigant to pay all or part of the legal costs of the successful party (in addition to paying its own costs). In the case of TGI Friday’s Inc v. Perfect Wave Ltd,33 the franchise agreement was terminated by the franchisor for poor performance. The franchisee continued to operate the restaurant under the franchisor’s brand name. The franchisor sought an interim injunction to stop the operation of the restaurant under the brand name. The court found that the agreement had been validly terminated and granted the injunction on the basis that the franchisor would have suffered irreparable damage if the franchisee had been allowed to continue. Although there are already a substantial number of foreign brands with an established presence in Hong Kong, other brands are seeking to enter into the market. This is due to Hong Kong’s reputation as a regional centre for shopping and food, and the rapid growth of mainland Chinese tourists visiting the territory. To illustrate, the period between 2012 and 2014 saw the opening of various fashion retailers, such as Abercrombie & Fitch, Forever 21, Topshop, Victoria’s Secret, J Crew and Urban Outfitters. Hong Kong has also seen franchises closing down in 2016. In terms of the legal landscape, it will be interesting to see how the Competition Ordinance affects the franchise market, when it comes into force, in the medium term. In terms of case law in relation to contractual law development, the Supreme Court recently held in Cavendish Square Holding BV v. Talal El Makdessi and ParkingEye Limited v. Beavis34 that it is no longer necessary to show a genuine pre-estimate of loss in enforcing a liquidated damages clause. Instead, the Supreme Court found that penalty clauses should be determined based on whether the innocent party’s legitimate interest in enforcing the counterparty’s contractual obligations were ‘out of all proportion’. This is relevant in the franchising context as a liquidated damages clause is common in franchising agreements. Where franchisees and franchisors have equal or similar bargaining power in negotiating franchising arrangements, the court will be more reluctant to interfere with a contractual liquidated damages clause. Cavendish Square Holding BV v. Talal El Makdessi and ParkingEye Limited v. Beavis were cited in various cases in the Hong Kong Court of First Instance35 and the Lands Tribunal.36 However, the Hong Kong Court of Appeal has not expressed its view on Cavendish Square Holding BV v. Talal El Makdessi and ParkingEye Limited v. Beavis in the recent case of Brio Electronic Commerce Limited v. Tradelink Electronic Commerce Limited 37 in relation to liquidated damages and penalty clauses. Whether this new test will be adopted by the Hong Kong higher courts remains to be seen. Nevertheless, the Court of Appeal rejected the rigid test in Murray v. Leisureplay Plc,38 which examines the discrepancy between the liquidated damages and the losses that would have been suffered in every case. In its approach to find the liquidated damages clause enforceable in Brio Electronic Commerce Limited v. Tradelink Electronic Commerce Limited, the Court of Appeal has shown its willingness to respect parties’ contractual intention. 1 Michelle Chan is a partner at Bird & Bird. 4 Chapter 486 of the Laws of Hong Kong. 5 Chapter 106 of the Laws of Hong Kong. 6 For example, Section 27A, ibid. 7 Chapter 456 of the Laws of Hong Kong. 8 Chapter 71 of the Laws of Hong Kong. 9 Chapter 26 of the Laws of Hong Kong. 10 Chapter 457 of the Laws of Hong Kong. 11 Chapter 362 of the Laws of Hong Kong. 12 Chapter 458 of the Laws of Hong Kong. 14 Chapter 284 of the Laws of Hong Kong. 18 See corresponding United Kingdom chapter, Section VI.i. 19 Yam Seng Pte Ltd v. International Trade Corp Ltd  EWHC 111. 20 Ng Chi Kwan, Danny Summer (alias 夏韶聲) & Anor v. Yeung Yiu Kwan & Anor  5 HKLRD 744. 22 Chapter 57 of the Laws of Hong Kong. 24 Chapter 619 of the Laws of Hong Kong. 25 Where a matter concerns the telecommunications and the broadcasting sectors, the Competition Commission will have concurrent jurisdiction with the Communications Authority. See Section 159 of the Competition Ordinance and the Memorandum of Understanding between the Competition Commission and the Communications Authority entered into pursuant to Section 161 of the Competition Ordinance. 26 See, for example, Lush Ltd & Anor v. Red Channel International Ltd & Ors  HKCU 1349, in which Lush alleged that Red Channel has been in breach of a non-compete provision. 27 Chapter 201 of the Laws of Hong Kong. 28 Chapter 405 of the Laws of Hong Kong. 29 Chapter 455 of the Laws of Hong Kong. 30 Chapter 575 of the Laws of Hong Kong. 31 www.franchise.org.hk/codeofethics.asp. The court would also stay proceedings for petition for a winding up order against a joint venture company set up for operating a franchise pending the decision of the related arbitration proceeding if the relevant franchise agreement has provided for disputes to be resolved through arbitration, and this includes if the shareholders have grounds to petition for the winding up of the joint venture company. See Quiksilver Greater China Ltd v. Quiksilver Glorious Sun JV Ltd & Anor; sub nom Re Quiksilver Glorious Sun JV Ltd (HKLRD)  4 HKLRD 759. 34 Cavendish Square Holding BV v. Talal El Makdessi and ParkingEye Limited v. Beavis  UKSC 67. 35 Leung Wan Kee Shipyard Ltd v. Dragon Pearl Night Club Restaurant Ltd (No 2)  1 HKLRD 657. 36 饒旋鋒 對 黃麗惠LDPE 642/2015, 龍珠島別墅F1至F7座業主立案法團 對 何正行 LDBM 155/2014. 37 Brio Electronic Commerce Limited v. Tradelink Electronic Commerce Limited CACV 271/2013. 38 Murray v. Leisureplay Plc  EWCA Civ 963.